In making this, I made some substitutions to use the ingredients I had. Instead of wild mushrooms originally used, I used portobello mushrooms which I caramelized and cooled. I also chopped up fresh black mission figs and sautéed them in a bit of butter until softened. In doing so, the natural sugars came out and really added some sweetness. I tossed the mushrooms and figs with softened goat cheese and seasoned with some salt and pepper. There was a sweet note to the original dish so I added a few teaspoons of sugar to taste. This mixture was placed in phyllo purses, which I made by buttering several layers of phyllo dough that I then cut into 4 x 4 inch squares. The filling was placed in the middle and the edges were gathered at the top to form the purse. To close the purses, a gentle twist of the gathered corners was all that was needed. The purses were then baked in a 400 degree oven for 7-10 minutes or until golden brown. 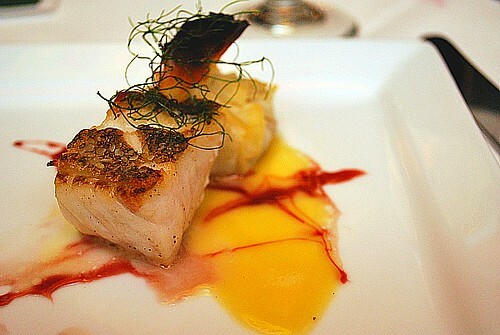 After biting into them, they brought back those delicious memories of our McCormick & Schmick's dinner. We thought that the purses were *almost* like the original but it lacked a teeny bit of sweetness. The next time I make this, I'll use honey instead of sugar and will add a bit more to hit that perfect note of sweetness. Preheat oven to 400 degrees and have a baking sheet ready; set aside. In a skillet, add a tablespoon of canola oil or butter and heat over medium heat. Add mushrooms and caramelize for 5-7 minutes. Remove from skillet and set aside to cool. In the same skillet, add another tablespoon of canola oil or butter. Add the fresh figs and saute for 3-5 minutes. Remove from skillet and set aside to cool. In a large bowl, combine the cooled mushrooms, figs and softened goat cheese. Add sugar and season with salt and pepper to taste. Set aside. On your work surface, lay out one sheet of phyllo dough and butter completely. Top with another layer of phyllo dough sheet and butter completely. Repeat with the remaining phyllo dough sheets and layer on top of each other, buttering each sheet completely. Using a chef's knife, cut the buttered stack of phyllo dough sheets into 4 x 4 inches. 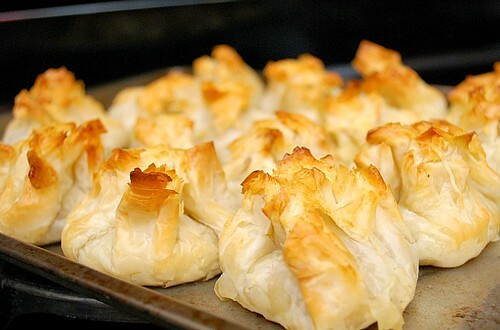 Carefully add a heaping tablespoon into the center of each phyllo dough square. Gather up the edges to create a purse and twist the top to seal. Brush the tops of each purse with melted butter and place on a baking sheet. Bake purses in the preheated oven for 7-10 minutes or until golden brown. Allow to cool for 5 minutes before serving. 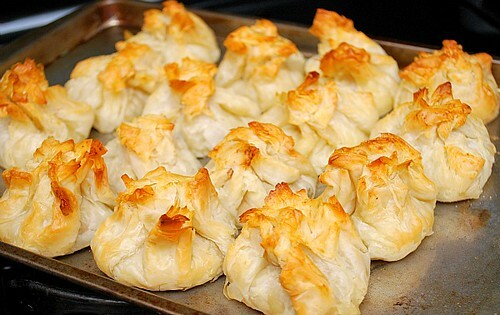 I love anything with phyllo dough. I have to make these purses now and surprise my friends. Thank you!